The demise of the Joyfallee veggie garden is almost complete. Having been relegated almost entirely to growing very large thistles and very tiny strawberries exclusively for the enjoyment of Chocolate Bunny, it has now become home to one of Choccy’s free-ranging feral friends. 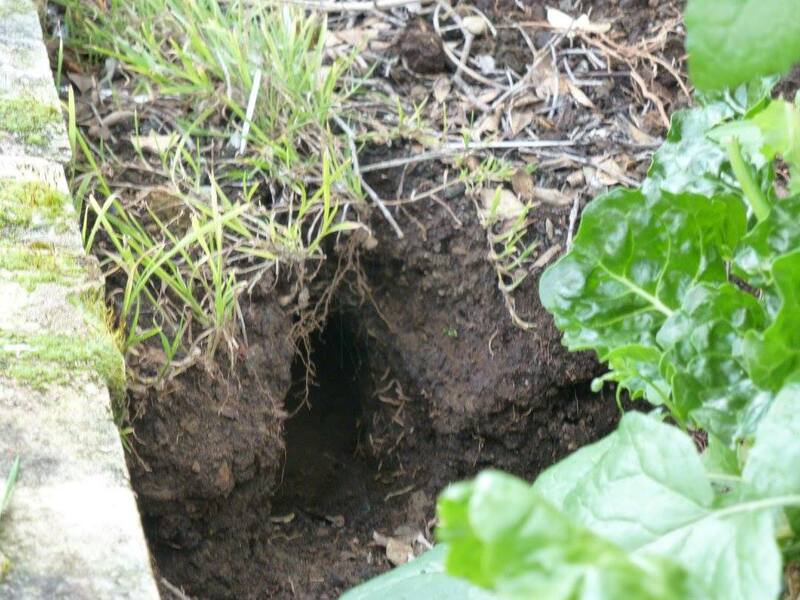 This burrower seems uninfluenced by the current above-ground dwelling propensity at Joyfallee. It is to be hoped that the plovers do not decide forsake their rooftop abode and take up burrow dwelling– as the veggie patch may become unapproachable without heavy-duty earmuffs.